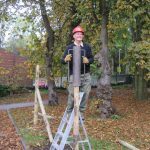 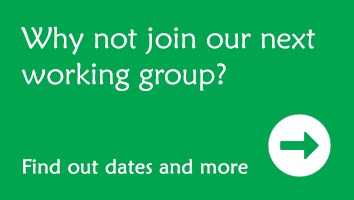 Shire Oak Primary School: the children already have an interest in trees and the environment. 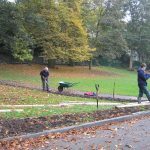 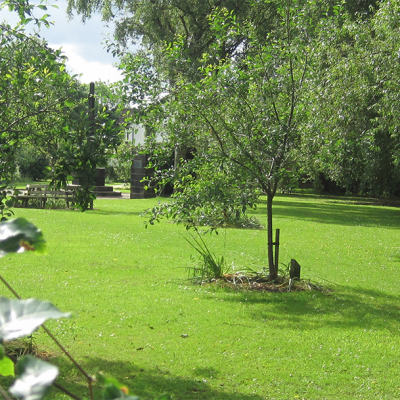 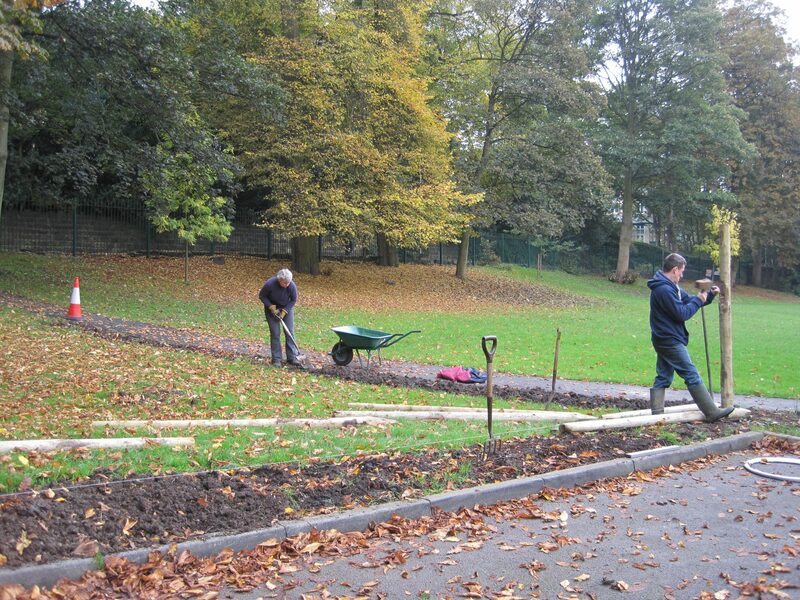 We prepared the beds in the late summer 2010 with a view to planting trees and soft fruit in the autumn when the new school year was under way. 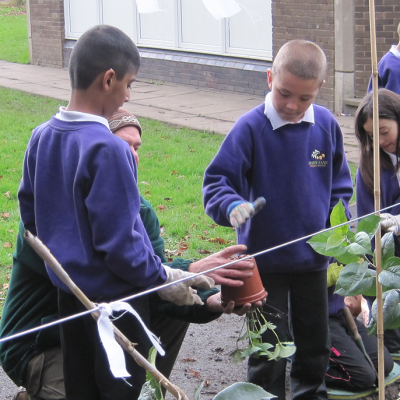 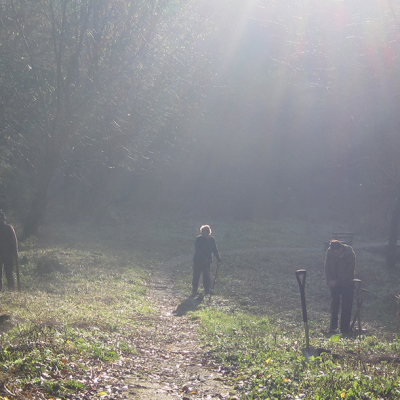 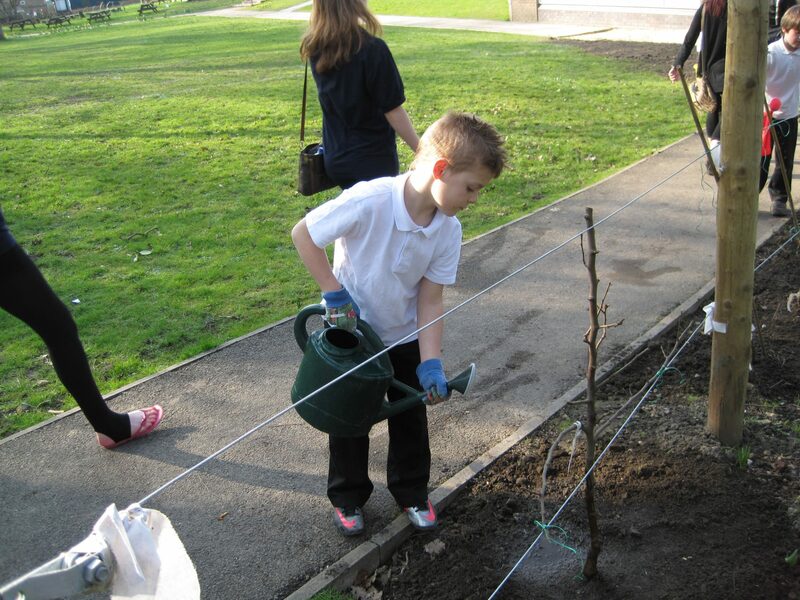 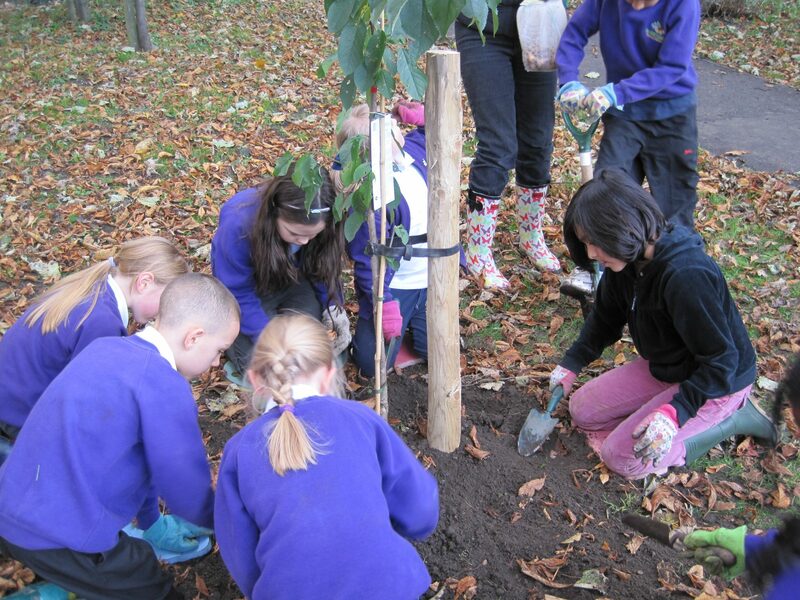 In October children in Year 5 planted some trees, some strawberries and some bulbs. 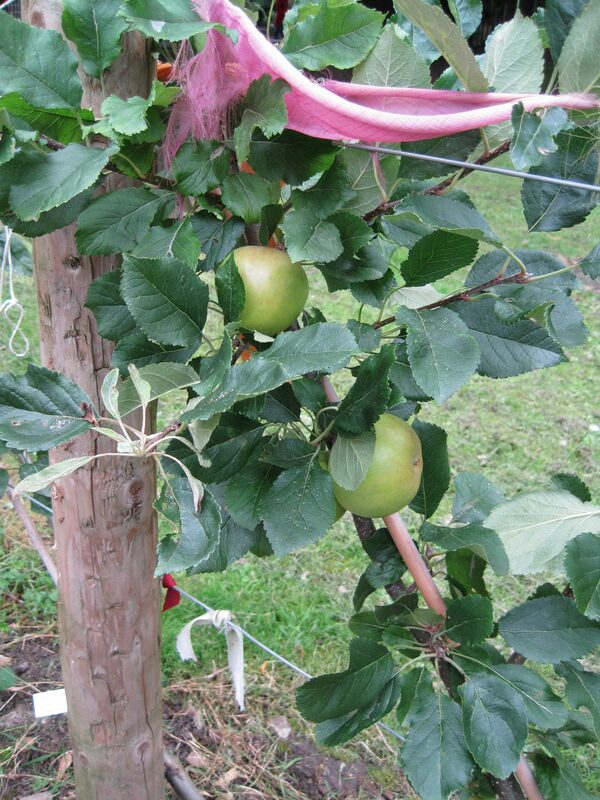 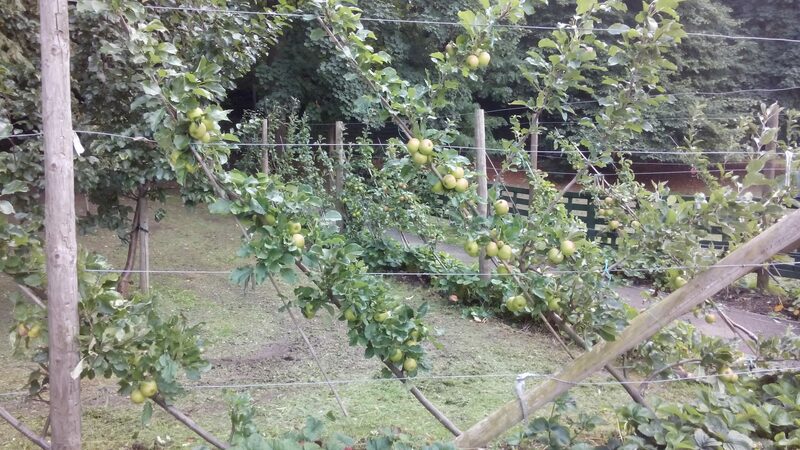 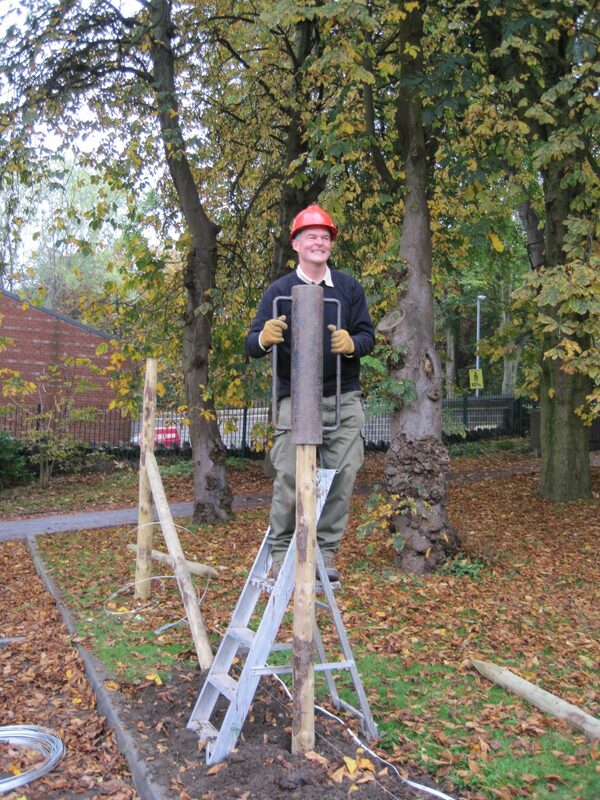 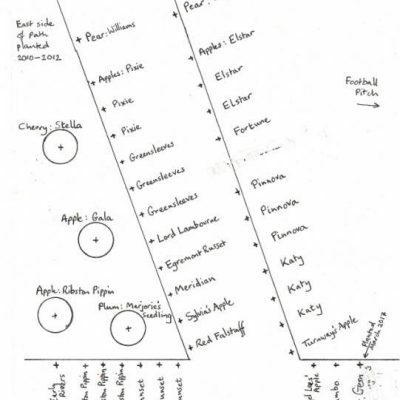 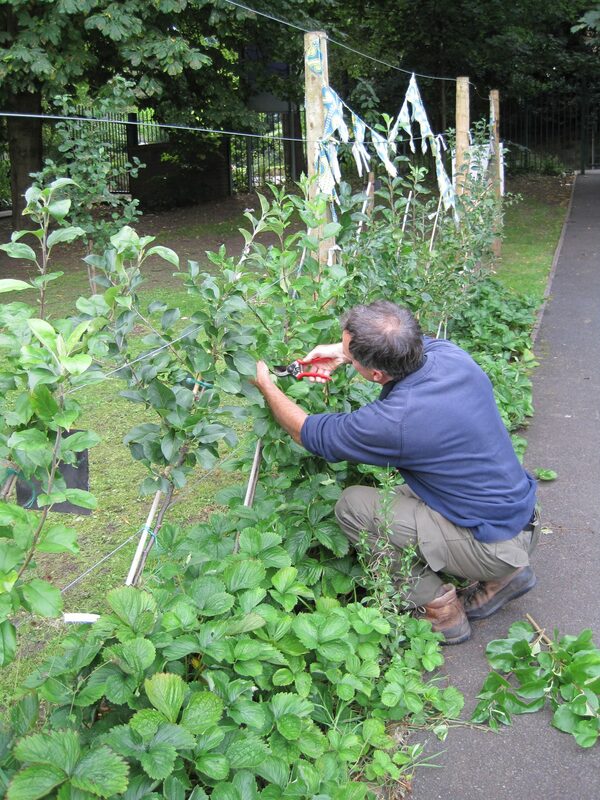 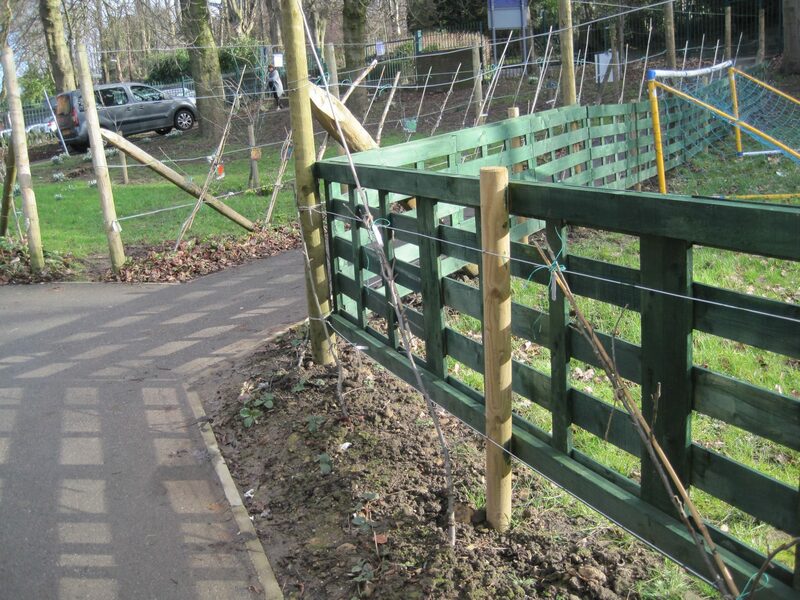 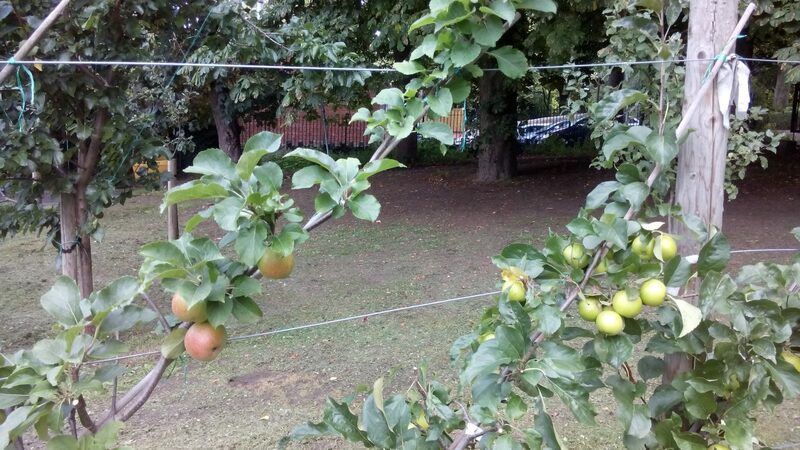 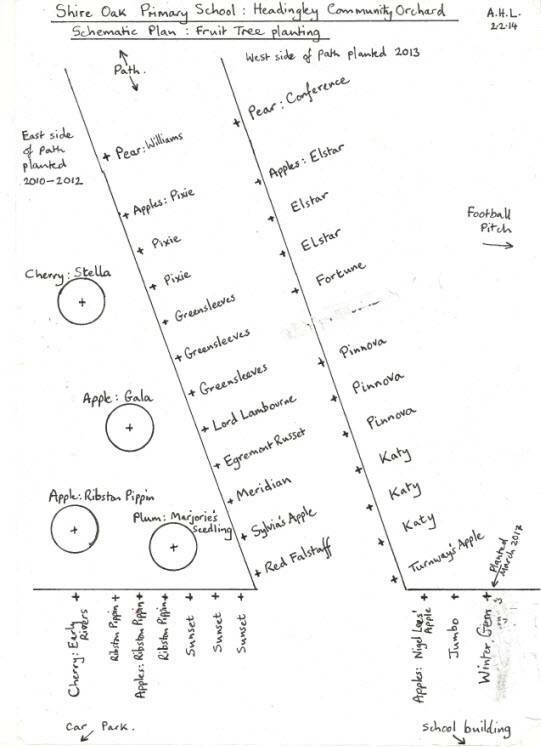 In spring 2013 we erected a fence and poles for another set of apple cordons so that both sides of the path down to the school are bordered with fruit trees. By 2014 the cordons were bearing fruit. 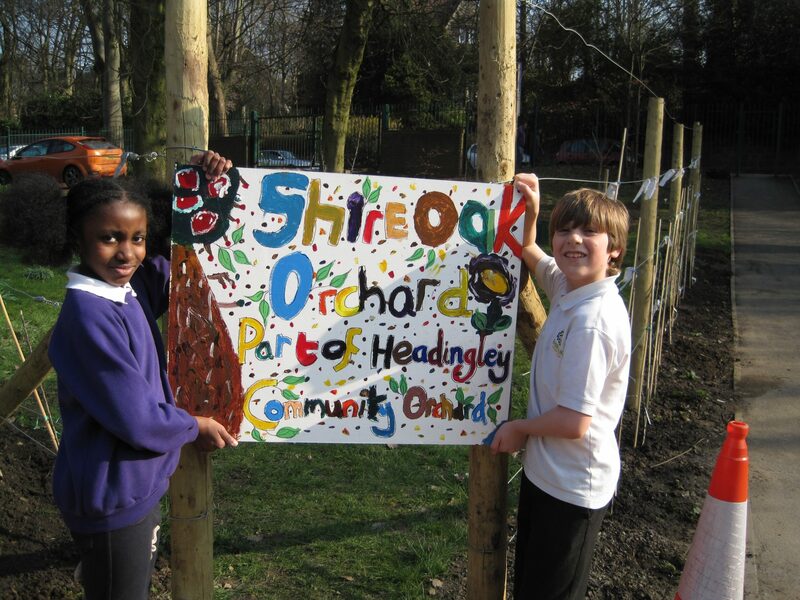 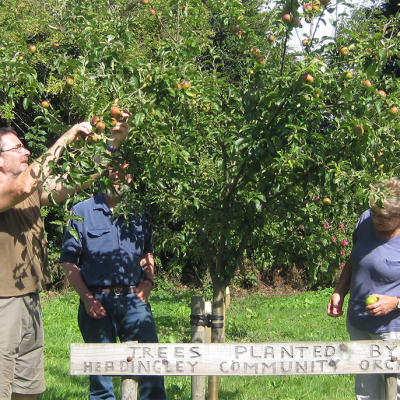 © Headingley Community Orchard 2017. 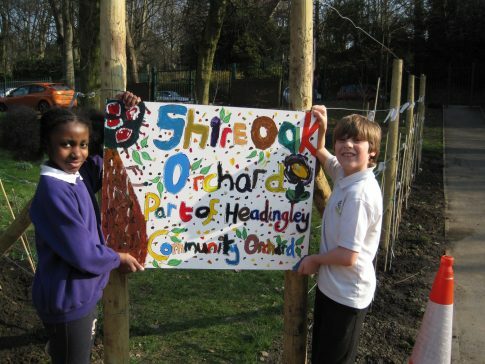 Site created by Jo and Nick Habib.